Very bright colors and is one of our Lakeland, Fl. customers favorite inflatables. 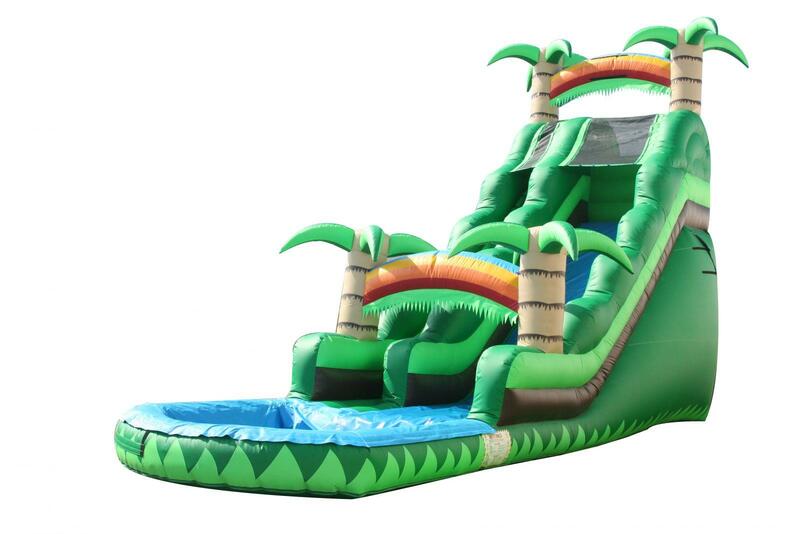 Front loading design so you can always see the patrons climb and slide front in front of this huge waterslide. Covered in palm trees make this one of the nicest in the area.